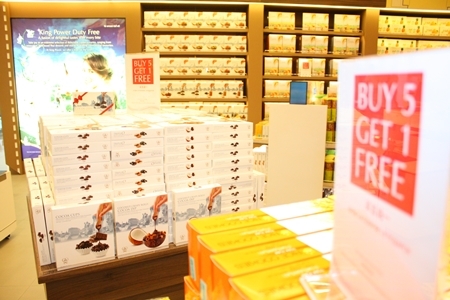 Duty-free retailer King Power handed out prizes and launched a month of discounts as it celebrated its first anniversary in Pattaya. 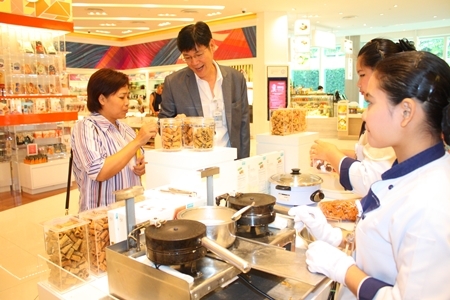 Prasong Nitinavakorn presided over the Sept. 29 celebration with employees and customers at the Sukhumvit Road complex. He lit candles on a large anniversary cake, then handed out pieces to guests. Crowds thronged to the 20-rai mall as King Power awarded cash vouchers and air tickets to Hong Kong and South Korea. The festivities continue throughout October, as the retailer offers everyone spending 10,000-100,000 baht or more to win prizes, including trips to Hong Kong, vouchers worth 100,000 baht and even a new Volkswagen. Prasong Nitinavakorn (right) and friends enjoy some birthday cake during King Power Pattaya Complex’s 1st Anniversary. 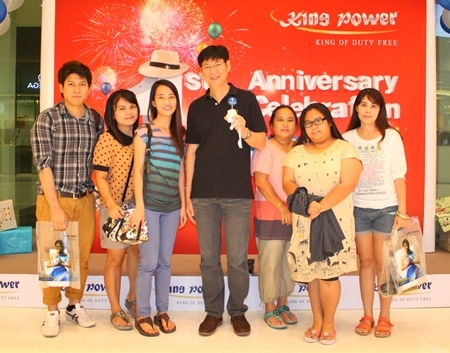 King Power opened in Pattaya in September 2011 and has developed only half of the 20 rai it occupies. Future development is planned to showcase brands including Bally, Coach, Hugo Boss, Lacoste, Lancome, and Victoria’s Secret. 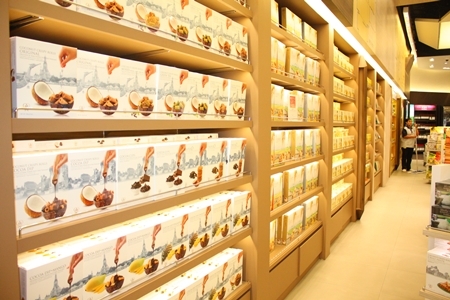 The lingerie brand is exclusive to the Pattaya and Suvarnabhumi International Airport locations. 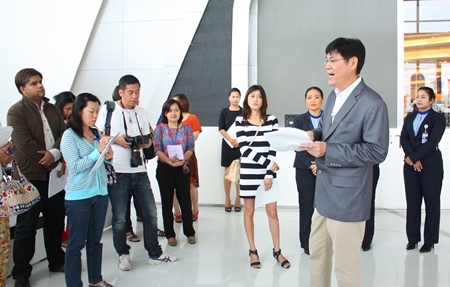 The large numbers of foreign tourists in Pattaya prompted the company to open its fifth branch here. To handle tourists comfortably, King Power has dedicated tour bus parking, can accommodate more than 110 cars and offers classic and Asian fusion cuisine, ATMs and foreign-currency exchange booths. 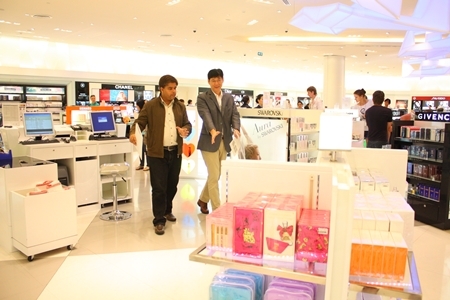 Prasong Nitinavakorn shows Pattaya Mail’s Tony Malhotra around the King Power Pattaya Complex. Delicious food for sale at the King Power Pattaya Complex. 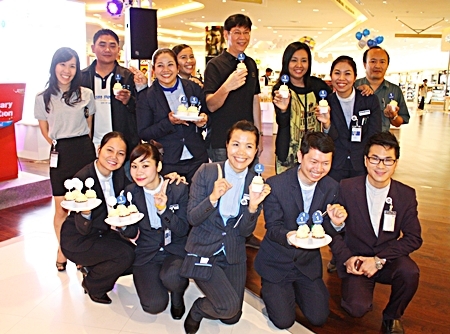 Operations Manager Prasong Nitinavakorn (center) and employees celebrate King Power Pattaya Complex’s 1st Anniversary. 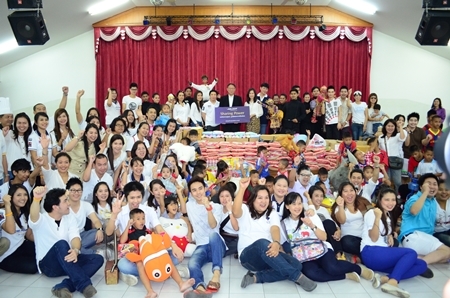 King Power Pattaya makes a great donation to the Pattaya orphanage.